More than a century after the Armenian genocide, it is still difficult to write about it, because one might be severely challenged: in Turkey, for insisting on presenting it as a policy of extermination; in France, for failing to do so. This is just one result of what Richard Evans and Henry Rousso call the “judicialization of history” (Evans 2002; Rousso 2002). After the tide of legislation prohibiting denial of the Holocaust and other crimes, which peaked in the 1990s (Kahn 2004), it is time to evaluate the intended and unintended ramifications of its application and its potential effects on historical memory. 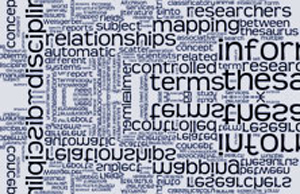 In addition, the last twenty years have seen a rise in legislation that indirectly influences social memory by regulating the production, accessibility and dissemination of information about the past (Savelsberg & King 2007), the most prominent example being the laws that regulate access to archives. The relationship between collective memory and law has been dominated by the paradigm of transitional justice and the debate on whether legal trials influence how societies remember crimes from the past (Osiel 2000; Douglas 2001). On the one hand, the discipline of transitional justice examines collective memory only in relation to the ideals of peace, reconciliation and dealing with the past (Barahona de Brito 2010). On the other hand, research on the example of the International Criminal Tribunal for the former Yugoslavia demonstrated the limitations of the court’s ability to shape collective memories in the region (Gordy 2013; Ristić 2014). However, these issues do not exhaust all aspects of the relation between law and memory, leaving under-researched the phenomenon of “memory laws” - any legal act regulating the interpretation of the past, whether by recognition, sanction or evaluation. This special issue invites more nuanced attention to be paid to the ability of legislation to determine the parameters of admissible and preferred historical accounts. Memory laws are an important aspect of the state-sanctioned politics of memory, selecting and shaping interpretations of past events and promoting specific views of history in the form of both legal acts and their implementation in the courtroom. Furthermore, laws that seemingly do not fall within this category may actually act as memory laws (e.g. laws regulating veterans’ pensions). Memory laws can even be abused for other purposes, such as eliminating the political opposition. Finally, national legislation related to historical memory, including governmental and parliamentary declarations and resolutions, is often shaped under the influence of international trends, or used as a tool in international relations. In this sense, international declarations, such as the European Parliament Resolution on European Conscience and Totalitarianism, not only influence the emergence of similar documents in national contexts, they also produce travelling concepts that are appropriated, transformed and used as arguments in political debates related to national memory cultures. This relation between the national and the international level is reciprocal, because it is often states that lobby for the acknowledgment of their past through an international declaration in the first place. We especially welcome contributions that step outside the Eurocentric perspective and/or approach transnational dimension. Selected papers are will be published in a special issue of a renowned journal. Organiser will provide affordable accommodation. Please submit proposals for papers in the form of a 500-word abstract with a short biography to jovana@zrc-sazu.si AND jelena.dureinovic@geschichte.uni.giessen.de.